A Chorus Line is not the standard boy meets girl musical. It is full of music, dance, and dramatic personal stories; each compelled by the casting director. Characters full of memories and pain fill the stage trying to get their big break. This movie takes place on Broadway, during auditions for dancers for a chorus line in an upcoming show. The dancers are mostly novices in the field trying to get their first good break. They are asked to sing, dance, and tell something about themselves. The stories grow from a young man who stole his sister's shoes and ran to the dance studio to learn to dance because she did not want to; to a story of a professional dancer at the end of her career who is just looking for one last chance to shine. Seventeen separate dancers are looking to fill a few spots on a major Broadway production. The director is a hard man to please. He is looking for dancers but he also is looking for personalities. Their painful life experiences are as important to the director as their skill on the dance floor and their ability to sing. Dancing in a chorus line becomes too much for some of these anxious young and middle aged performers but they keep trying, they keep working as they tell their stories about the sad and lonely life of a New York City dancer. The movie is based on a Broadway play of the same name by Bob Fosse. His artful ability to write compelling lyrics and Michael Bennet's choreographed dramatic dances help the story of A Chorus Line emerge; showing the inspiration and determination of young artists. A Chorus Line won nine Tony Awards. One Tony was awarded for "Best Musical". The production also won the Pulitzer Prize for drama. The film is rated PG-13 because some of the intense content may be more than younger viewers will be able to comprehend. 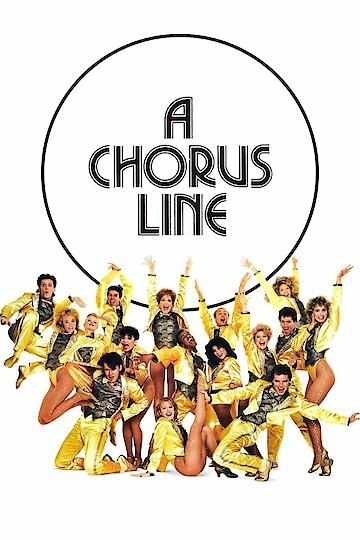 A Chorus Line is currently available to watch and stream, buy on demand at Amazon, Google Play, iTunes, YouTube VOD online.